Photographing after dark is a challenge. But everyone loves the glamorous, moody results. Capture those striking images, night after starry night, with Night and Low-Light Photography. 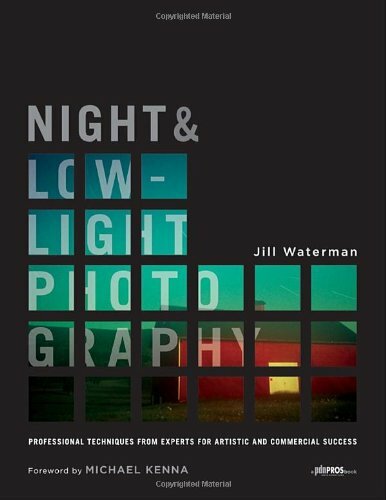 Author Jill Waterman looks at the work of 30 top professionals, examining their real-life projects as well as their tips, techniques, and unique approach. The result is a beautiful yet practical compendium of every aspect of night and low-light photography, indoors and out, black and white and color, digital and film, fine art and commercial. The moon and stars, atmospheric effects, cityscapes, industrial light, night events, night landscapes-every night effect is revealed in this lavishly illustrated one-volume resource.